Well today started off with Ryan coming to Baltimore for a dig. We started off the day by digging a small barrel that had some 1890s bottles in the bottom nothing really worth mentioning except a fairly scare local blob beer and some marbles. After driving around the city and checking out a few other potential sites we. Decided to head over to an empty lot in south Baltimore where we have dug a few decent pits in the past. 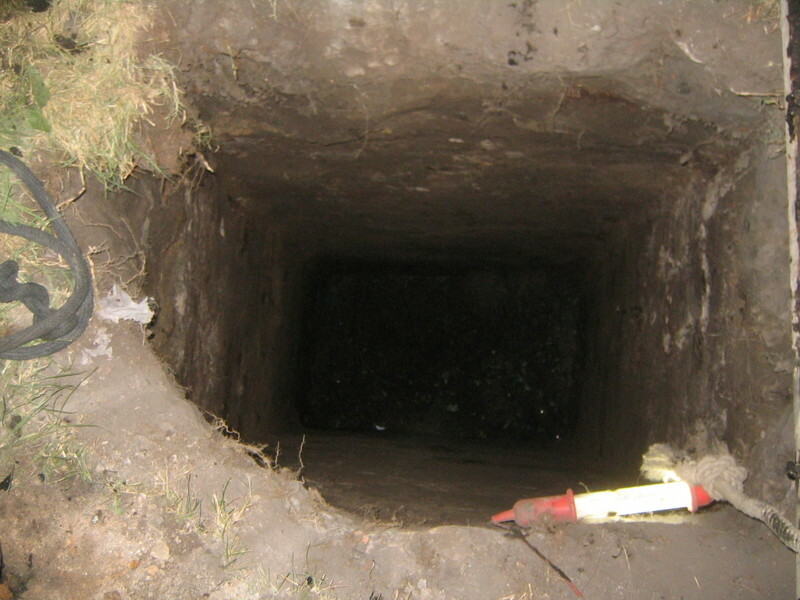 I quickly probed out another pit in line with the others we had dug. The first 3 in this line were double barrels about 8 feet deep one of which produced a large quantity of civil ware era squat sodas. 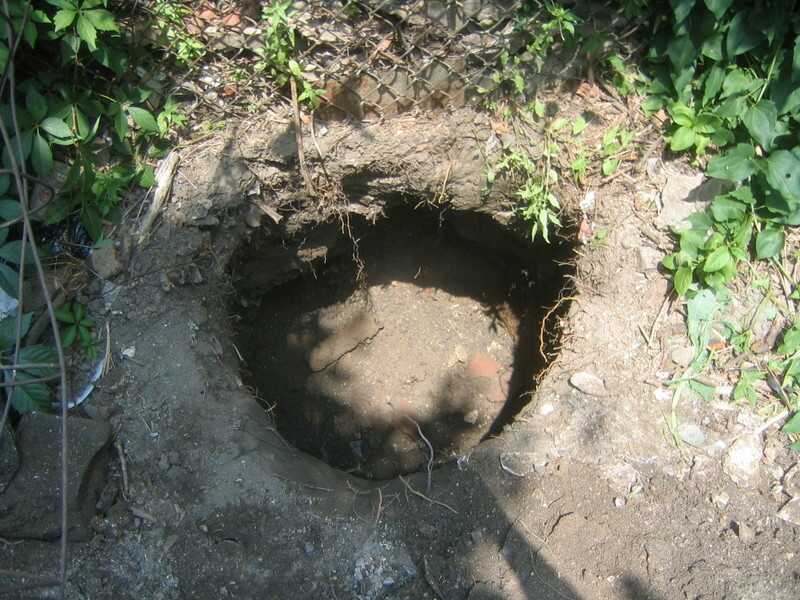 This hole was found to be a rectangular wood liner about 4X6 feet which is not an uncommon size for a shared wood liner in Baltimore. However we had figured the pit would run about 8 feet deep like the others on this line. 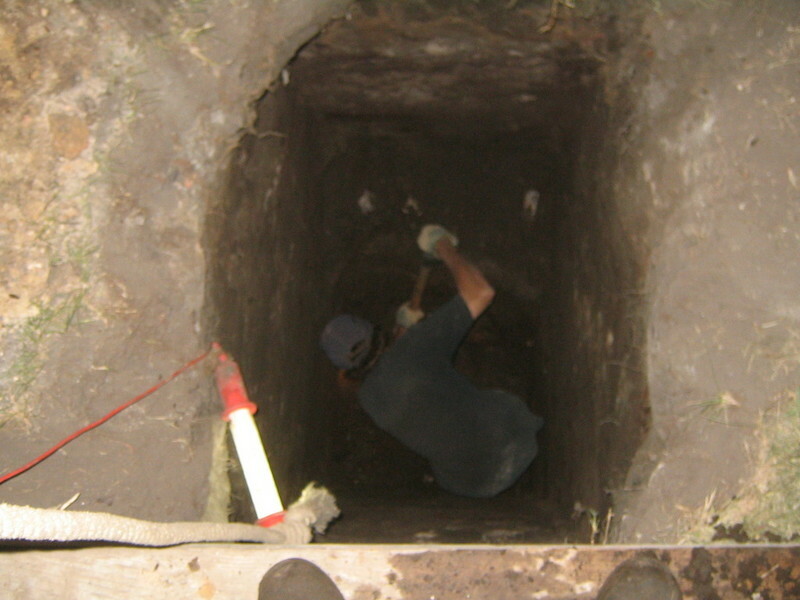 After getting the pit opened up we started digging down through a soft clay cap. That lasted for the first 7 feet of this pit then gave way to a nice loamy trash layer laden with artifacts. However we were disappointed that the artifacts only dated to the 1920s. the other pits had much earlier artifacts. So I thought it would be best to give the trash layer a probing just to see how much layer we had. I couldn't believe my eyes when the five foot probe sank to the handle and I could feel glass and ceramics the whole way down. Well being this pit had such a thick layer we knew it should get at least back to blobs by the bottom so we started taking the layer down. By the bottom 2 feet the layer was black wet muck and had some artifacts dating to the 1870s. We found a few common philly squat sodas and a bunch of Baltimore steamer type blobs. We did get a blue S&D skull and crossbone poison that Ryan thought was a bromo and a rare amber insect powder from philly and a nice blue decorated stoneware crock lid. Due to the extra thick trash layer it took us alot longer to dig this pit then we had expected. 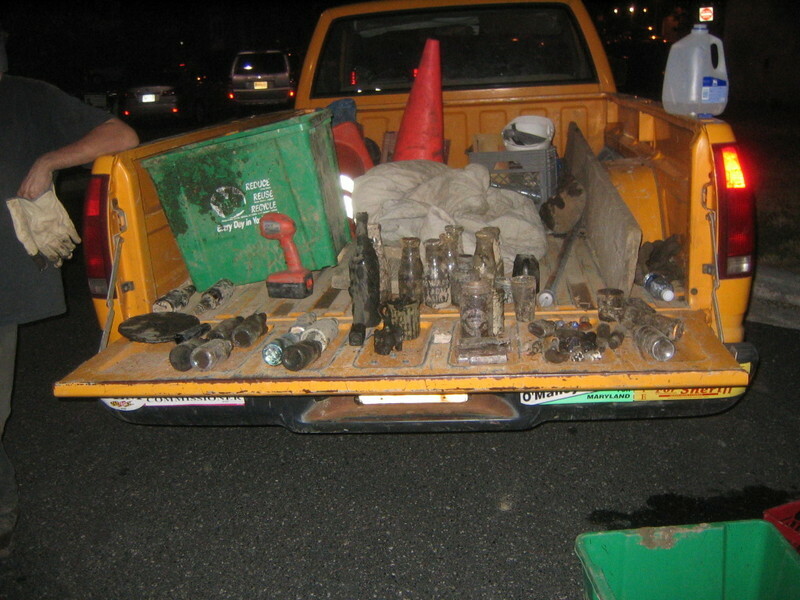 We finished filling in the pit about 3:30 in the morning then went to split up the finds. I think it was about 5:00am when we all headed home.